I'm back with my 31 week bump date! Check my newest video on YouTube where I share some amazing resources I've found to start preparing me for labor. This includes looking into natural labor and hypnobirthing. Check it out! 31 Week OBGYN appointment - Doctor says everything is normal and I've gained 11 lbs so far with a projected 20 lb total weight gain if I gain a pound a week till 40 weeks. HypnoBirthing - The Mongan Method Book- My friend gave me a book that helped her have a natural child birth with her second child. I've been reading it everyday and it's given me a lot of comfort and opened my eyes to the possibility of natural child birth. I definitely recommend it. Insomnia - I've been having trouble sleeping due to shortness of breath when I lay down. My lungs feel squished so I find it easier to sleep propped up. I'm also now taking an afternoon nap every day probably because I'm not sleeping well and also because this 3rd trimester is definitely wiping me out. Back pain - My heating pad has been my savior. I put it behind my back when I lay down at night and it provides immediate relief. I'm officially entering my 8th month of pregnancy, yay! 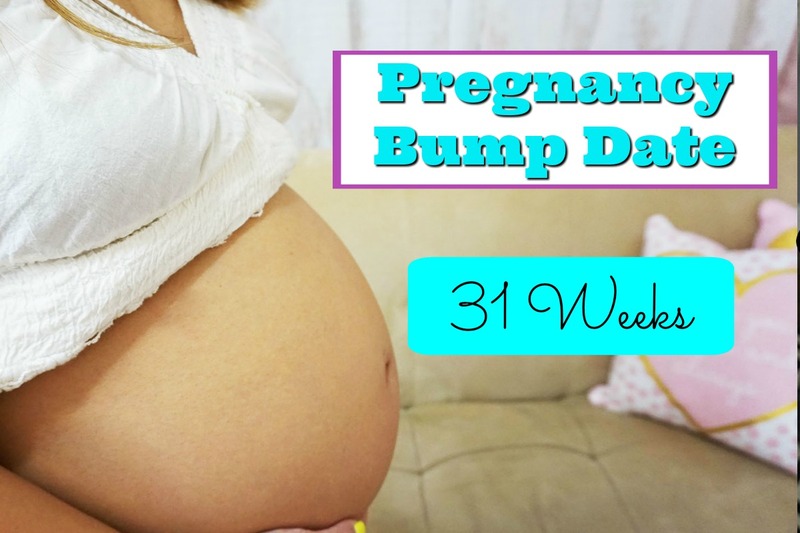 Stay tuned for next week's bump date - they're uploaded every Thursday. Make sure to subscribe to my YouTube channel and hit the notification bell to see when the newest video is uploaded. Check out our Amazon Baby Registry and feel free to send baby girl a gift! I plan on doing an online baby shower video soon!